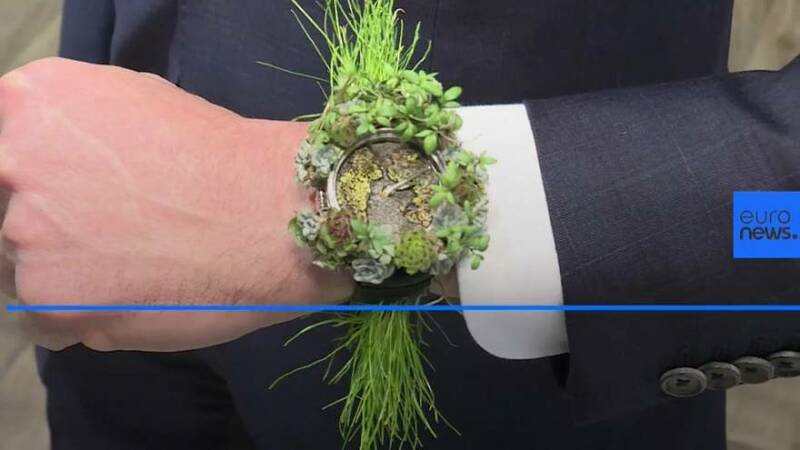 A 'vegetal' wristwatch made with living plants is on show at the luxury watchmakers fair in Geneva. It comes from Swiss designer H. Moser & Cie, whose watches sell for tens of thousands of Euros. The company's theme for this year's fair is "all about corporate social responsibility". "This Mother Nature watch is for us a very symbolic product, we try every year to express certain values of H. Moser and this year, it's all about corporate social responsibility which we feel is becoming a very important topic or has been for many years a very important topic and we wanted with the Moser way to talk about it, to raise awareness around the topic, about climate change, about education, about sourcing."